Coloured yes, by dyes? 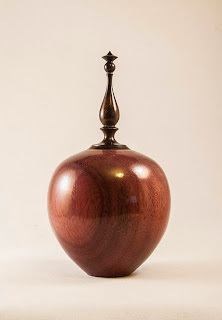 No, this is Purpleheart, a coloured timber from the Americas often used in construction. 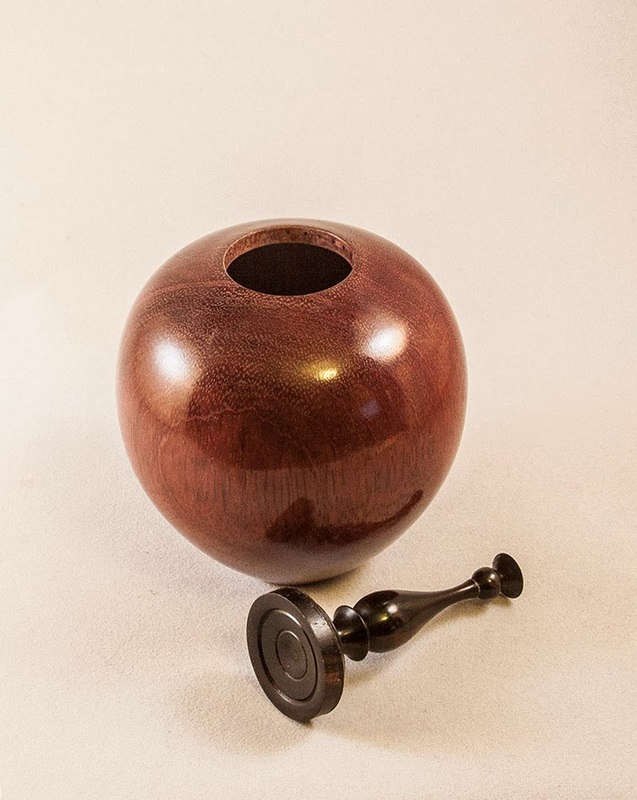 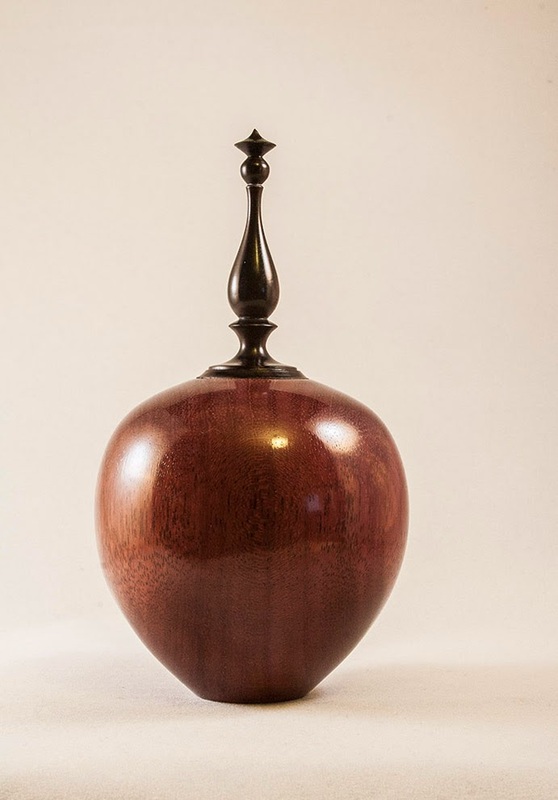 The finial lid is Ebony. 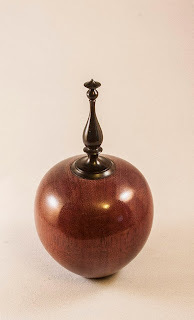 The finish is spray lacquer for the finial and Shellac for the form.